Quick entry tonight. 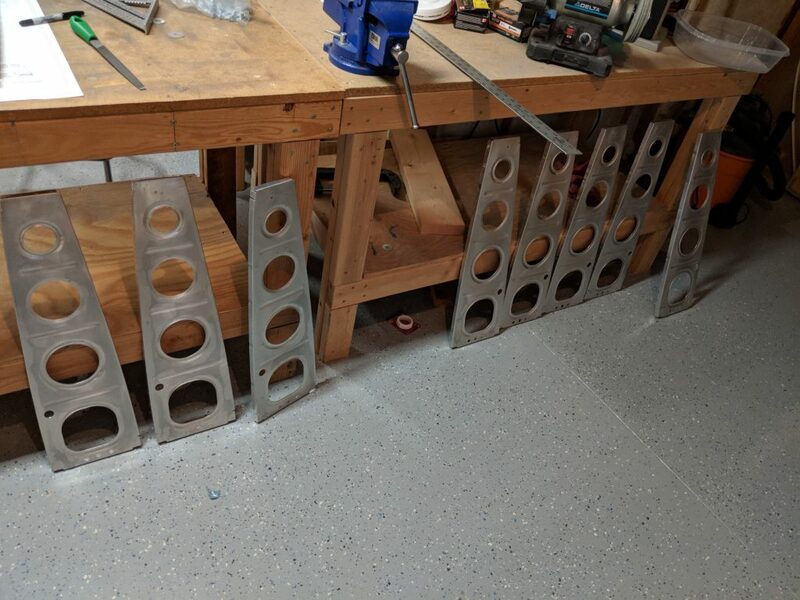 I am still working on my wing stands, more on those in a later post. Tonight I decided to scrub up my Wing Ribs so they’d be ready for Alumaprep and Alodining later on. 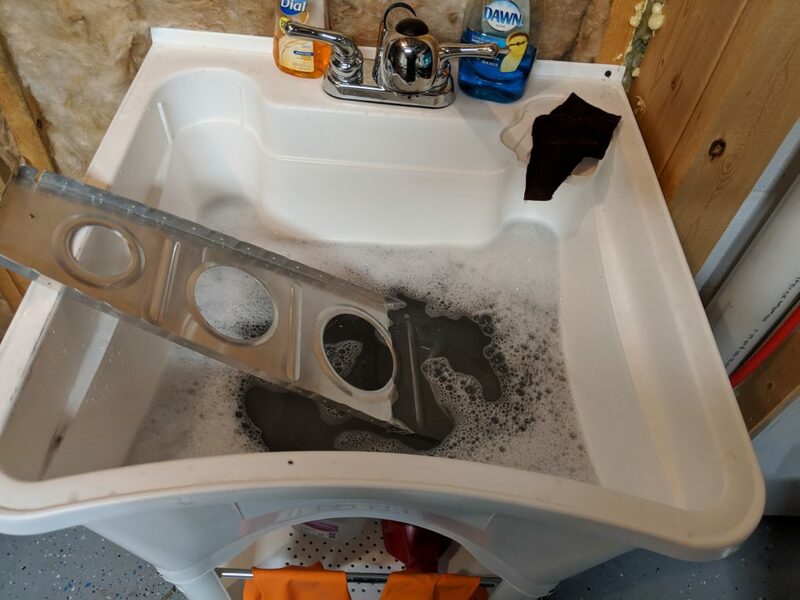 Pretty simply, I filled up my utility sink with some Dawn dish detergent and then scrubbed them lightly with a scotchbrite pad until all the crud was free. The goal was to get a slight scuff on the surface to break any gunk off, and let the Dawn do the work of cleaning. Once I had them cleaned, I rinsed them off with clear water and set them aside to dry. 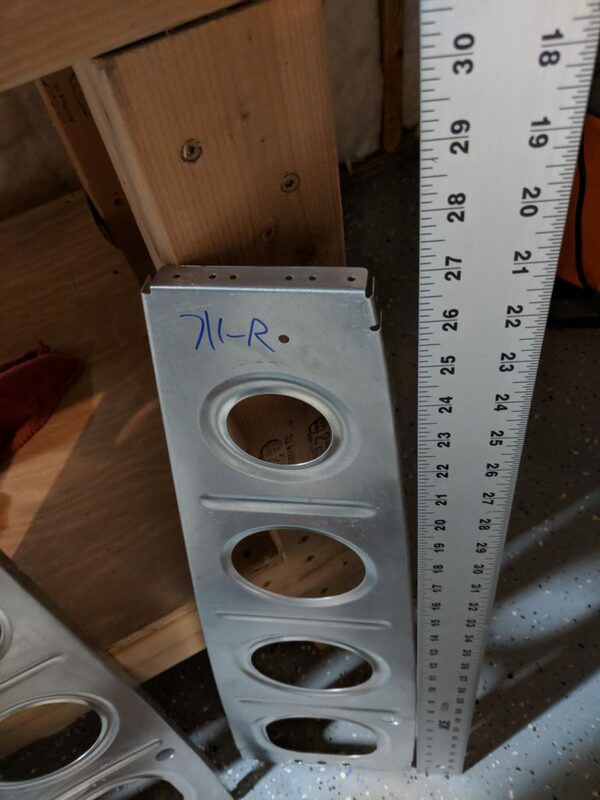 I am still going to dunk these in Alumaprep 33 so it can chemically etch the surface as well as let it do a final cleaning, before going in the Alodine. I only did the right wing tonight, because I didn’t want to get these confused with the left wing ribs. I’ll let them dry and go to Wal-mart to find a tub that they will fit in. They are just over 27″ long, and won’t fit in my largest tub for the chemical baths. That’s it for tonight. I’ll pickup some larger tubs for these ribs, and get them alodined. Then I’ll repeat the process for the left wing, and shoot them all with primer.